One of the best looking phone of 2015 was the Samsung Galaxy S6 Edge and its successor is officially here, the Samsung Galaxy S7 Edge. This time, the smartphone is even bigger and comes with all the features that you missed in the previous one. Some of the issues that you were not happy with in the Samsung Galaxy S6 Edge has been also improved according to Samsung. 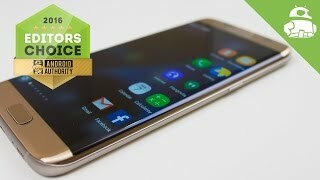 To learn more including the Samsung Galaxy S7 Edge Cairo price and specs, keep reading. While there are almost no changes in design, the screen sizer is bigger this time, a 5.5-inch screen showing the same 2560 x 1440 pixels resolution. The camera bump on the back is subtle this time as well and its IP68 certified now for dust and water resistance. The earlier version, Samsung Galaxy S5 packed the same feature which was dropped later. Now you get this feature back in the latest version. It can handle spills, splashes and sometimes dunks as well. Although the battery is still not removable, it’s huge, a 3600mAh one with Quick Charge 3.0 technology. Battery life was a huge problem in both the Samsung Galaxy S6 and S6 Edge which is now not the case. Moreover, you get to fill up your battery to up to 60% in just 30 minutes because of the Quick Charge 2.0 technology. The wireless charging feature works faster now as well but this is region dependent which means it won’t be available everywhere. If you are not ready for the Samsung Galaxy S7 Edge release date Egypt, there is the iPhone 6S Plus and Samsung Galaxy Note 5. People who are in the market for the best looking smartphone, this one definitely takes the cake with its edge display and super thin, attractive design. Most of the latest smartphones are packing the latest Qualcomm Snapdragon 820 processor and it’s the same with the latest Samsung flagship device. This powerful processor has been paired with 4GB of RAM which means you won’t face any problem when trying to multitask or playing heavy games. There are two different storage options to look for if you are satisfied with the Samsung Galaxy S7 Edge Cairo price, 32GB and 64GB. Just like the Samsung Galaxy S6, there is no 16GB versions to look for. If you are interested to check out some more flagship devices from other popular manufacturers, there is the LG G5 and Sony Xperia Z5 Premium. As iPhone won’t be releasing their flagship device anytime soon, this latest phone from Samsung is definitely worth checking out at the moment. If you are familiar with the pricing detail, you already know what to expect. Samsung phones are quite expensive and this is one of the major deal breaker when it comes to Samsung flagship devices. The Samsung Galaxy S7 Edge will cost around 12500 to 14400 EGP. 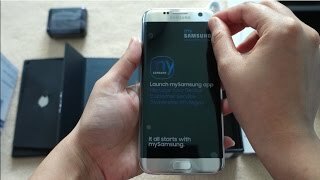 The Samsung Galaxy S7 Edge release date Egypt is expected sometimes after March 11. While the pricing of the phone is definitely not too pocket friendly, this phone is worth trying for a lot of different reasons: one of the best smartphone cameras, bigger battery, top-notch performance and unique features like edge display. Just like the Samsung Galaxy S6 Edge, the Samsung Galaxy S7 will be accompanied by the Samsung Galaxy S7 Edge version and an edge plus version this year. The smartphone is expected to show up slightly earlier than expected. 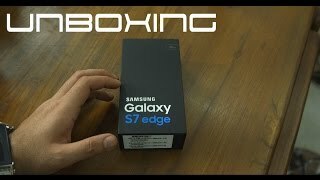 However, before getting to those details, let’s take a look at the Samsung Galaxy S7 Edge Cairo price. Nothing has been officially announced yet including the Samsung Galaxy S7 Edge release date Egypt, but it will be definitely around 13400 to 15400 EGP. There are no surprises here in the display part. The Samsung Galaxy S7 Edge is expected to show up with the same 5.1-inch display showing the same resolution. 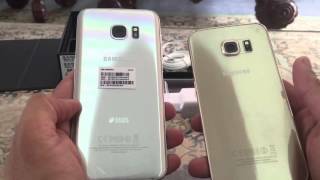 However, we are hoping to see two different versions of the Galaxy S7 Edge in two different sizes. 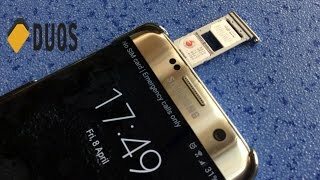 The Galaxy S series recently went through a complete makeover so we are not hoping to see any major changes in design, but the microSD card slot is expected to come back. If you want to look at some of the smartphones that costs similar to the Samsung Galaxy S7 Edge Cairo price, there is the Sony Xperia Z5 Premium and iPhone 6S Plus. 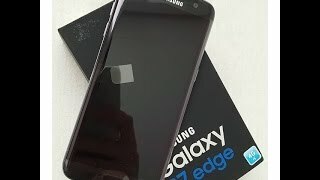 The galaxy s7 edge duos Mobile Phone is manufactured by Samsung and was added around April 2017 and is part of the Samsung Galaxy S7 Edge Duos series. This version of the Mobile Phone comes in Color : Gold , Capacity : 32 GB , Band : LTE , Display Size : 5.5 Inch , Sim Cards Slots : Dual Sim , Special Features : Touch Screen , Special Features : External Memory Card , Special Features : NFC , Device RAM : 4 GB. The model comes in 15 other variations including combination of LTE Band , 32 GB Capacity , Gold, White, Silver, Black, Blue Color , 4 GB Device RAM , 5.5 Inch Display Size , Dual Sim Cards Slots , External Memory Card, NFC, Touch Screen Special Features. Price has decreased 28% from EGP 8499 on 2016-08-31 to EGP 6161 today.